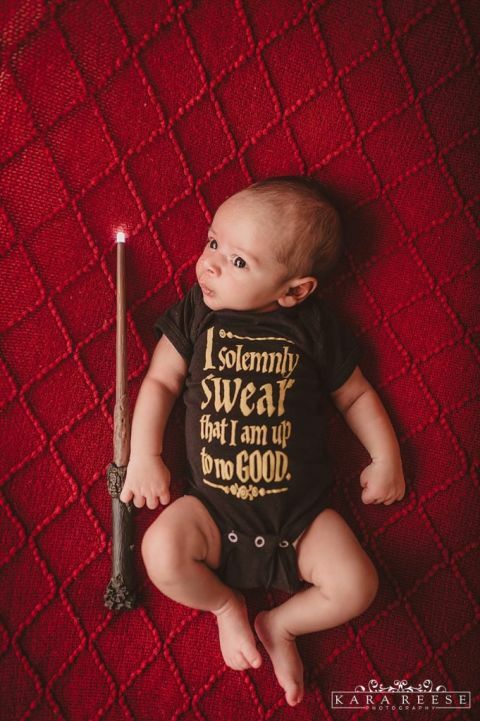 Ryan is an adorable baby to begin with, but add Harry Potter onesies and wands and we are starstruck! 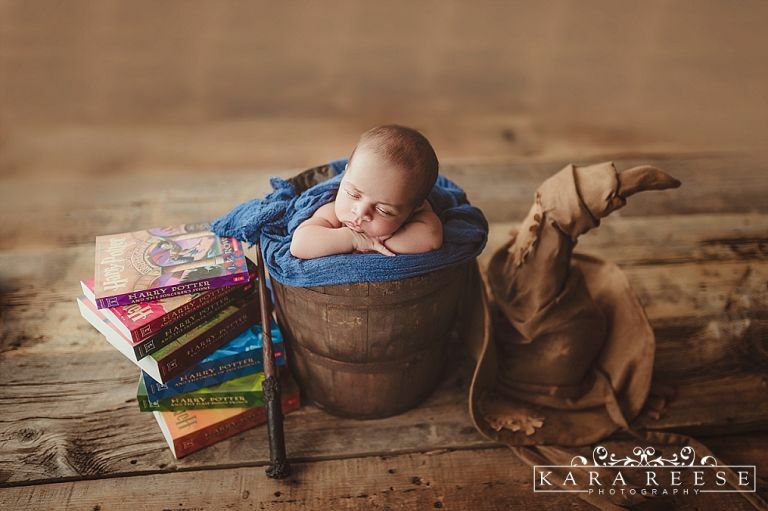 This is the cutest idea for a newborn session we’ve seen in a long time. This kid has some pretty creative parents and we are so glad they had a great experience. They said they will be back for another session soon so we’re thinking it’s time to get a stuffed animal Hippogriff, right? We love the idea of themed sessions, do you know anyone expecting who would be game? Alice in Wonderland would be fun, or Lord of the Rings…? So many feelings,excitement and happiness which cannot be put in words. Were you nervous or worried before? How did it turn out? We are a little worried before arriving. 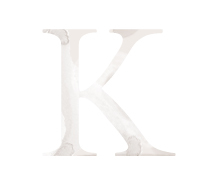 But we really loved how professionally and carefully the whole process was handled. we are very very happy with the final outcome. Relax and trust Kara, she is the best! 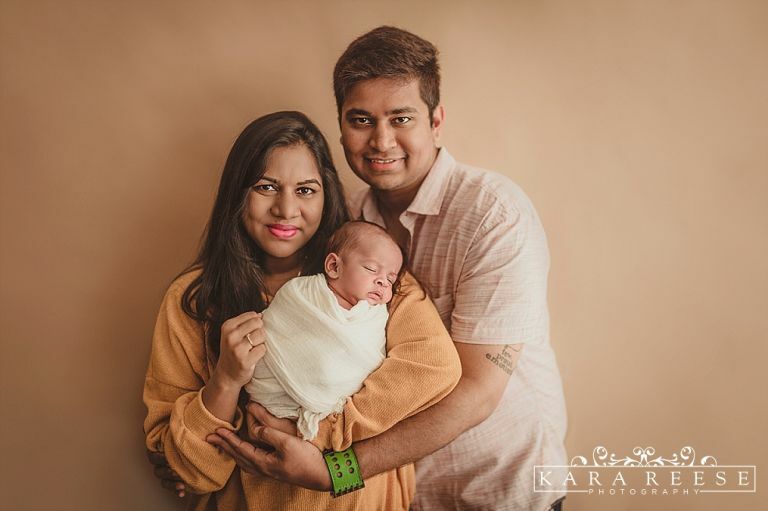 Anything else you think the world should know about your newborn session? We are very very happy with the whole process! 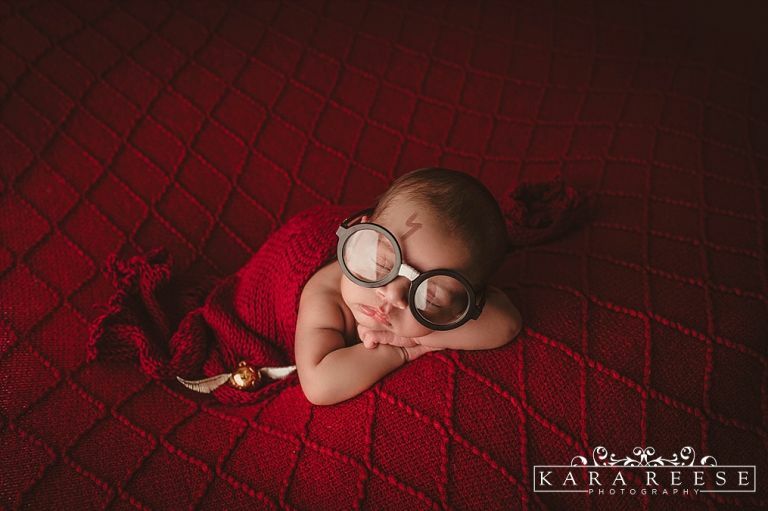 We will be scheduling another baby portrait session soon and we highly recommend Kara Reese Photography.